Female Allen’s Hummingbird, University of California – Santa Cruz Arboretum, Santa Cruz, California. 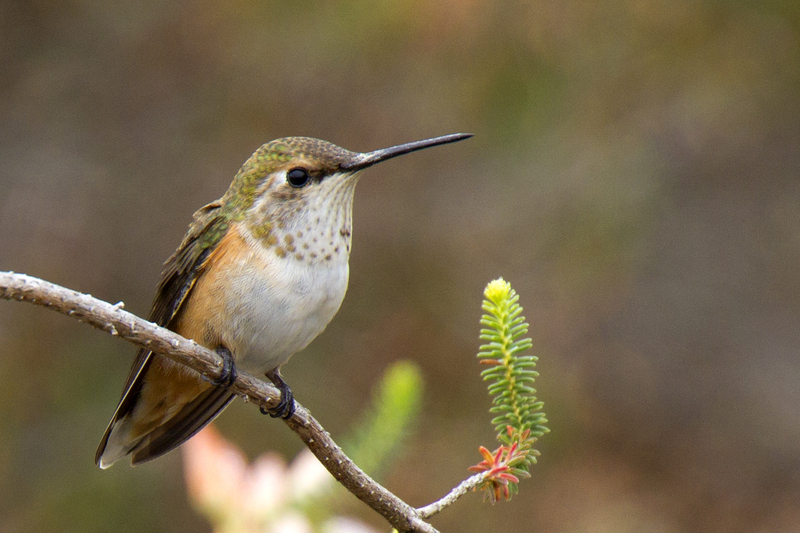 Allen’s hummingbirds have the smallest breeding range of any North American hummingbird. They only nest along the California coast and southern Oregon.